How did we communicate before email? Before SMS? Before faxes? While using a telephone was an expensive luxury? People wrote letters. Writing a personal letter is a great exercise for the mind, giving the opportunity to think and focus, and make visible the train of your thought. Those who loved their language probably wrote more than others. And for many it was customary to keep letters, for reference, or for cherishing. So while looking for clues about someone’s life over the first 70 years of the 20th century, one should look for their letters. J.R.R. Tolkien had during his lifetime a massive correspondence. He constantly wrote to his family, employers, friends, and publishers. Some of them are collected in this book. 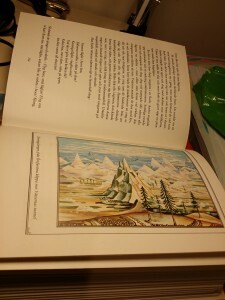 Through his letters, we follow his life, as seen with Tolkien’s own eyes, from the small everyday events when writing to his friends and family, through the drafts of The Lord of the Rings while writing to his publishers, and even to religious musings or pure philosophy, when writing to his children in his elder days. Many of the letters were found in draft form, or collected from their receivers. The collection is comprehensive, but of course not complete. Lots of letters are missing, and no one knows how many Tolkien ever wrote. 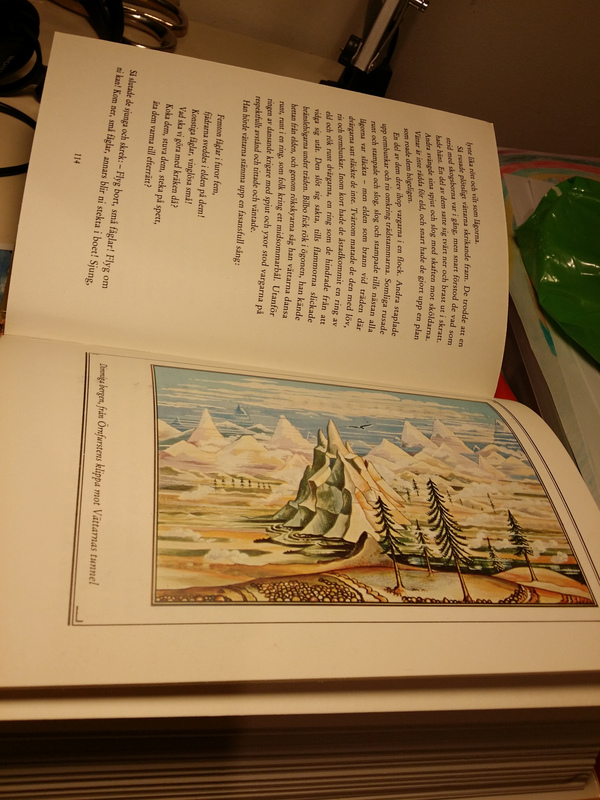 From the known letters, this is of course also an edition, and the editors have focused on Tolkien’s life, and especially the occations that touched the legendarium, from which his most famous works arose. The Letters of J.R.R. Tolkien is highly recommended reading. And if you get nothing else from this, at least I have learned, that taking time to write personal letters, is something I should do more often. I read Unfinished Tales again. I should do so more often. It is a fantastic collection of writings, some in more finished form, some less, from J.R.R. Tolkien’s hand, collected, edited and commented by his son Christopher. Here are the longest “raw” cuts of the story of Turin Túrambar, later fine edited and released as a separat work. Here is the touching story of Erendis, the unhappy wife of Aldarion, one of the mariner kings of Númenor, in almost Brontëan style. Here are essays on the wizards, the Istari, and of the seeing stones, the Palantíri. Here is the long version of the story that led Gandalf, Thorin Oakenshield and his 12 companions to Bilbo’s door, and the story of the hunt of the ring before Frodo set out from the Shire. In a footnote, we get the explanation of why it is said that Imrahil of Dol Amroth has some elven blood in his veins. In a moving part, we get the story of the oath of Eorl and Cirion. And we even get facts (though a bit confusing and partly contradicting) concerning Galadriel and Celeborn. If you are a true fan of Tolkien’s works and legendarium, you probably have read Unfinished Tales already. If not, it’s high time. 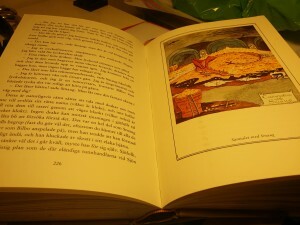 A few months ago I set out to get a copy of one of the versions of The Hobbit that has Tolkien’s original illustations. 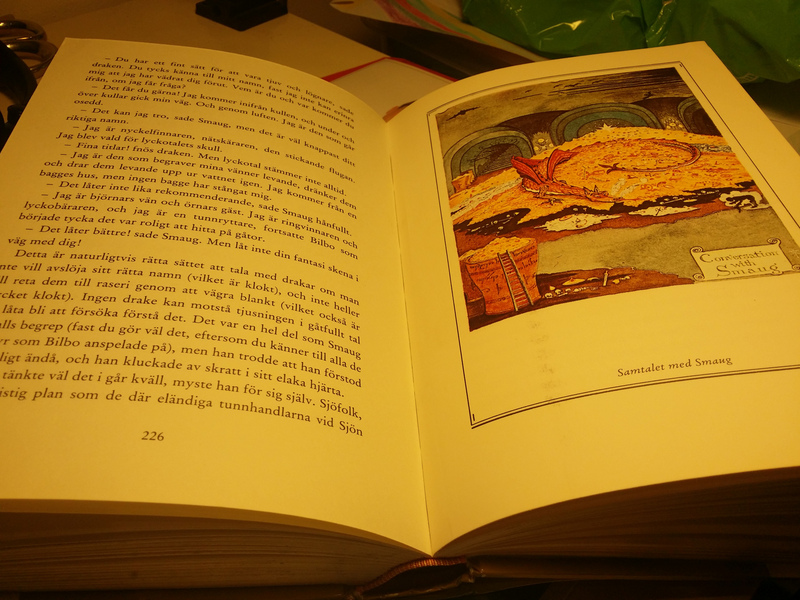 After a bit of searching, I found an available copy of the 1962 swedish translation, Bilbo en hobbits äventyr. Some editions of that translation, at least the one I got, the 10th reprint from 1979, have the illustrations. So now, I can enjoy my own private printed copy of these nice illustrations.